Enjoy cozy stays from Barcelona to Portland starting at $55. It’s no secret that booking hotels can be pretty pricey– fortunately, local living for less is available on home-booking sites like Airbnb. We scoured the world for these magical tiny home rentals with a rating of four or five stars and a price tag of $125 and under. 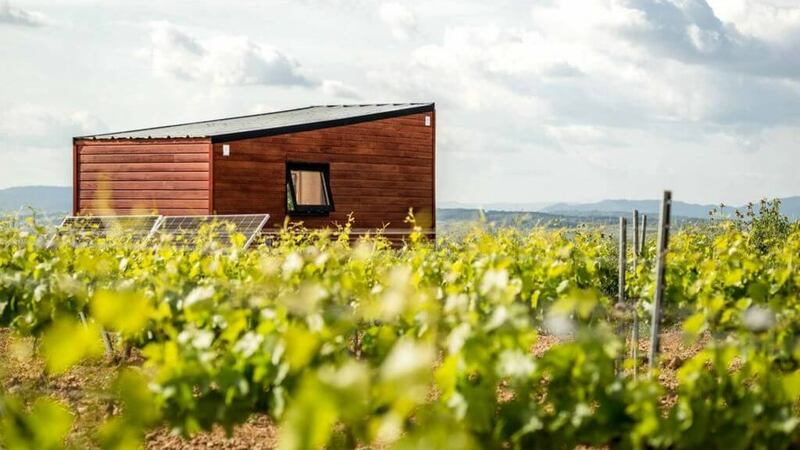 Spend a few nights recharging in this one-of-a-kind tiny home nestled deep in the vineyards of Barcelona. Every day you’ll be completely surrounded by the beauty of the Spanish Penedes vineyards and wake up to panoramic views of the breathtaking Montserrat mountain ranges. Even environmentalists can feel at ease in this home since it’s fully powered by “off-grid” or renewable energy, as noted by the host. Amenities include free parking, private entrance, luggage drop-off, patio access and long-term stays 28 days or more. 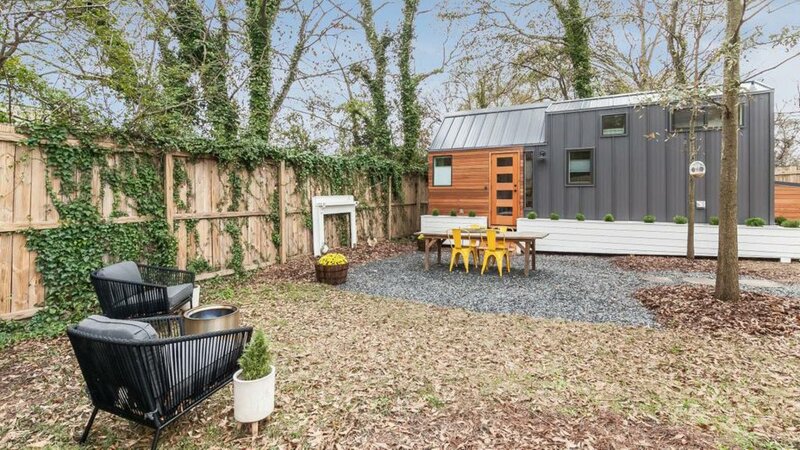 Consider booking this modern-style tiny home the next time you’re in Atlanta. It comes equipped with two spacious bedrooms and two queen-sized beds so you can freely stretch your legs. A perfect place for families, this charming home has a bathtub, children’s books and babysitter recommendations in case mom and dad need a date night out. The property is also enclosed with a private fence and a huge backyard for entertaining. 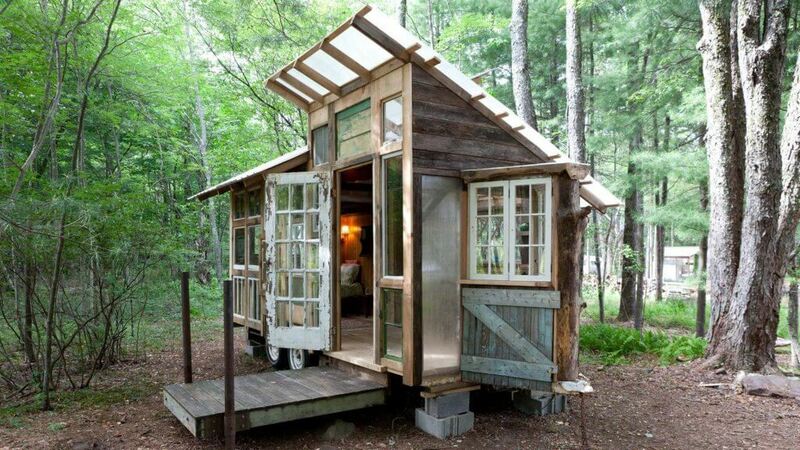 Tiny Home on Farm in Upstate Catskills, N.Y. If you’re looking to try something new by finding the perfect escape from city life, this rustic tiny home might be for you. Hidden in one of New York’s forests, this lodging will give you a beautiful taste of nature and the outdoors. You might even see some real wildlife since the home sits on a 12-acre farm that houses angora rabbits, goats, sheep and chickens. Spend the day lounging in the home’s loft bed or take a nice stroll alongside the nearby pond. This elegant tiny home is a great option for travelers headed to Austin. Its modern decor gives the home an upscale and cozy feel. You can spend some time alone upstairs in the queen bed or relax on the pull-out sofa bed on the first level. Although it might be small, the home has many valuable amenities including WiFi, free private and street parking and a backyard to use as extra space. It’s also about 10 minutes from the city’s entertainment hubs as one former guest pointed out. 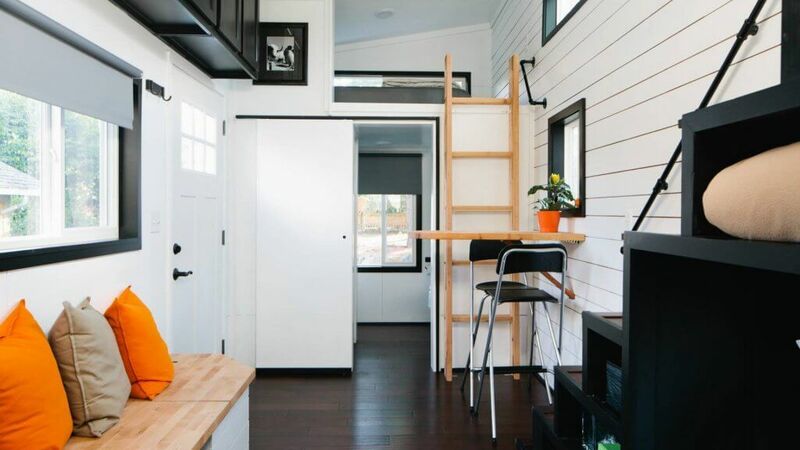 Advertised as the “True Portlandia,” this tiny home will give you all the feels. Built in 2015, this home is located in a quiet neighborhood in northeast Portland. It has two loft bedrooms with two queen beds to accommodate multiple guests. A haven for bike travelers, the home is a 10-minute bike ride from the Alberta Arts District and popular shops and eateries. In addition, the home runs on a greywater system and guests are given complimentary biodegradable soap. Click through to find out what it costs to rent a vacation home built into the Earth if you’re looking for another unique getaway. All prices are accurate as of Feb. 12, 2019. Learn how this couple celebrated their love — of a good deal.